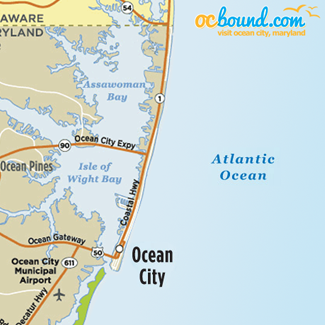 This map of Ocean City, Maryland includes boardwalk and inlet. 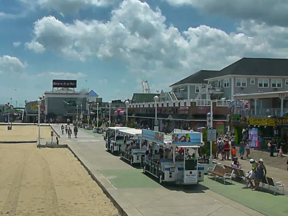 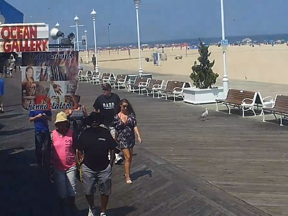 Ocean City, Maryland is one of the most popular beach resorts for families in the Mid-Atlantic region. 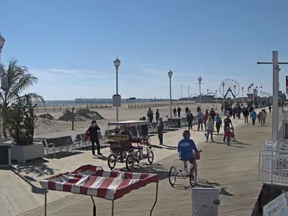 Amusements, attractions, arcades, miniature golf courses, shopping, and a world-famous boardwalk provide endless opportunities for fun. 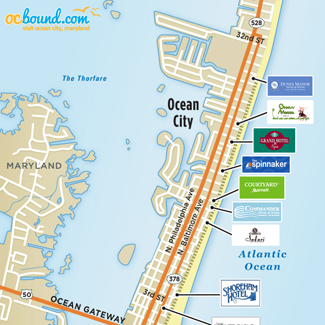 The boardwalk in Ocean City, Maryland extends from inlet to 27th St.
Use this map to locate popular hotels in Ocean City, Maryland. 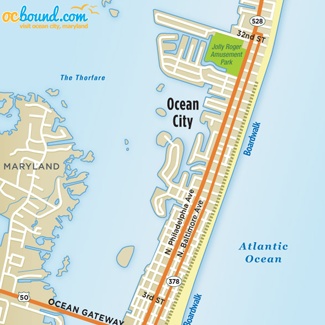 Map of attractions and things to do in Ocean City, Maryland. 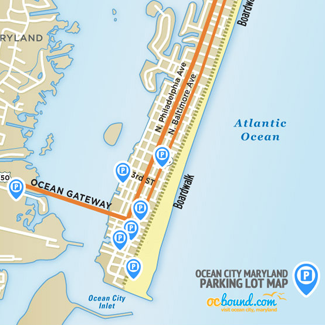 Get local maps, directions, mileage chart and estimated driving times to Ocean City, Maryland. 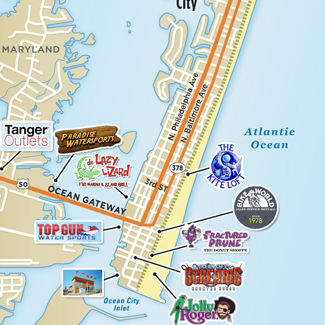 Map of parking lots in downtown Ocean City, Maryland.